Below are commonly accepted definitions for terms you are likely to hear throughout the admissions process. Admission Counselor — Representative from the Office of Undergraduate Admissions who assists prospective students through the admission process. A.P. or Advanced Placement Examination — This exam offers students the opportunity to earn college credit. 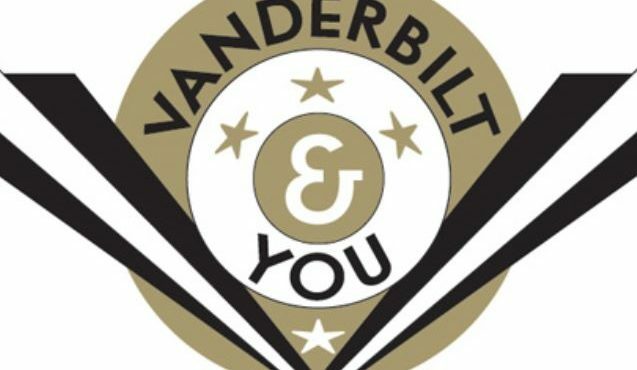 Vanderbilt generally awards college credit for a score of 4 or 5. View a complete list of all AP exams and the credit awarded. Common Application — This is an application for admission that students may submit to more than one college or university. It is available by print or e — mail and is accepted by Vanderbilt. The Common Application is available online. Core Curriculum — The general education classes all students are required to complete in a particular major or concentration. Credit Hour — A unit of measurement given to a student for completing an academic course. Courses typically are worth three to four hours of credit. CSS Profile — This program was created by College Board to assist colleges and universities in measuring a family's financial situation. It also analyzes their ability to contribute to college cost. More information can be found online. Deferral — When an early or regular admission decision is moved to a later date in the selection process. Early Action — An admissions decision program with earlier deadlines and earlier notification dates than the regular admissions process. It is different from Early Decision because it does not require a student to commit to attending the school if admitted. Vanderbilt does not have an early action program. Early Decision — A decision program designed to give an early admission decision to well — qualified students whose first choice is Vanderbilt. Students who apply for admission under the early decision plan are required to sign a statement that affirms their intention to enroll at Vanderbilt, if offered admission, and agree to withdraw all applications to other colleges if admitted. E.F.C. — Expected Family Contribution (EFC) is the amount of financial support a family is expected to contribute toward a childs college education. The EFC is determined by using Vanderbilt's institutional methodology that utilizes the data collected on the College Scholarship Service (CSS) Financial Aid PROFILE. FAFSA — Free Application for Federal Student Aid. In addition to completing the College Scholarship Service (CSS) PROFILE application, we do require that students complete the Free Application for Federal Student Aid (FAFSA) to be considered for financial aid other than merit-based assistance. The FAFSA information allows us to determine a student's potential eligibility for certain federal aid programs and helps us to maximize the overall types and amounts of aid that can then be offered to each applicant. Full Tuition — The cost of just tuition; no other expenses are factored into this amount. Grant — Awards based on financial need that do not require repayment. They are available through the federal government and Vanderbilt Office of Student Financial Aid and Undergraduate Scholarships . Greek Life — Term used to describe activities of fraternities and sororities on campus. I.B. — International Baccalaureate. A grade of 6 or 7 on the standard or higher level of the International Baccalaureate Program will generally receive college credit. View a complete list of all IB exams and the credit awarded. Joint/Dual Enrollment — Refers to coursework high school students complete which may be credited toward a college degree. Upon admission to Vanderbilt, entering students must report all such coursework to the Office of Undergraduate Admissions. Credit will be awarded only if the course is regularly offered by an accredited two — year or four — year college or university, if the teacher was a regular faculty member of that institution, and if a majority of the students in the course were candidates for a degree in that institution. The question of credit at Vanderbilt must be settled in advance of the student's first registration. In no case may credits completed elsewhere after the student has been offered admission by the College of Arts and Science at Vanderbilt satisfy AXLE requirements. Loan — Financial aid that is awarded to families with the expectation of future repayment. Merit Based Financial Aid — Financial aid that is awarded based on either academic or extracurricular merit. Need Based Financial Aid — Financial aid that is awarded based on demonstrated financial need as determined by the CSS PROFILE application. Need Blind — When an admission decision is made without regard to a student or family's financial aid request. Transcript — Official record of high school and/or college courses and grades. Regular Decision — Freshman applications for this admissions program are due on January 3 (postmark date) and will receive notification in April. Residential Campus — A university campus where all students are required to live in university residence halls. Vanderbilt is a residential campus. Retention Rate — The percentage of students who return to a college or university for their sophomore year. Rolling Admissions — This is an admissions decision program that allows for a student's applications to be considered when all of the required credentials have been submitted. Qualified students are accepted until the freshman class is filled. Applicants are notified of admission continuously throughout the enrollment period. Vanderbilt does not practice rolling admissions. Room & Board — This dollar amount represents the housing and dining plan costs combined for enrolled students. Scholarship — Awards to students based on merit or merit and need. Students are not required to pay back these awards. Seminar — A class that has a group discussion format rather than a larger lecture hall format. High School Profile — A form created by each high school that provides Vanderbilt with information about the student body at a specific high school. Student Employment/Work Study — Students must complete the FAFSA to determine eligibility for this program. Eligible undergraduate students may work up to 20 hours per week on campus. There are a variety of work locations and settings. Wages vary depending on the type of job. Subject Tests — Tests in specific subjects (formerly called the SAT II). The tests are used by Vanderbilt to assist in course placement and exemption of enrolled first — year students. Supplemental Materials — Any additional materials that a student may submit to the Office of Undergraduate Admission to help the admissions counselor make an informed admission decision. Waitlist — a student who has not yet been admitted but still shows strong promise is put on the waitlist.